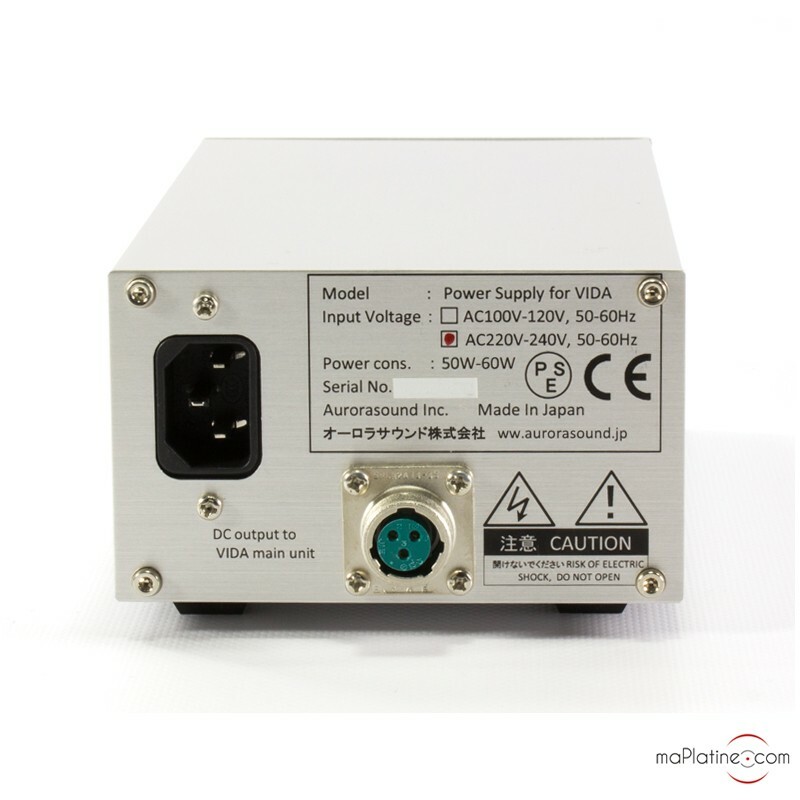 Shinobu Karaki, the designer of Aurorasound electronics, designed these Vida mono phono preamplifiers for Isashi Tanaka, an enthusiast of vinyl records and a well known writer specialized in audio in Japan. 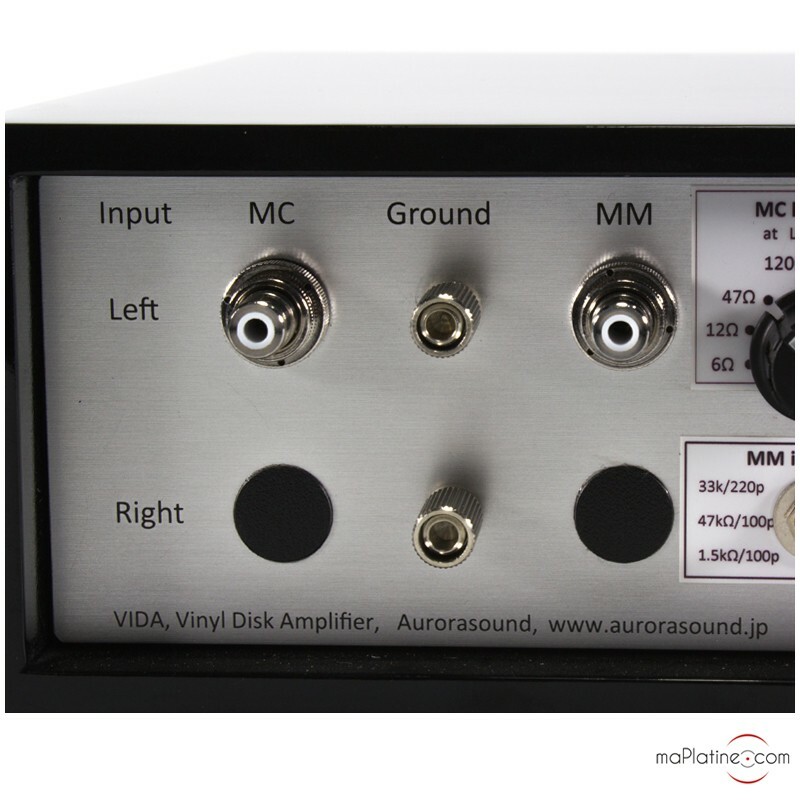 These mono “blocks” are upgrades of the Aurorasound Vida Stereo (VI-6) phono preamp. 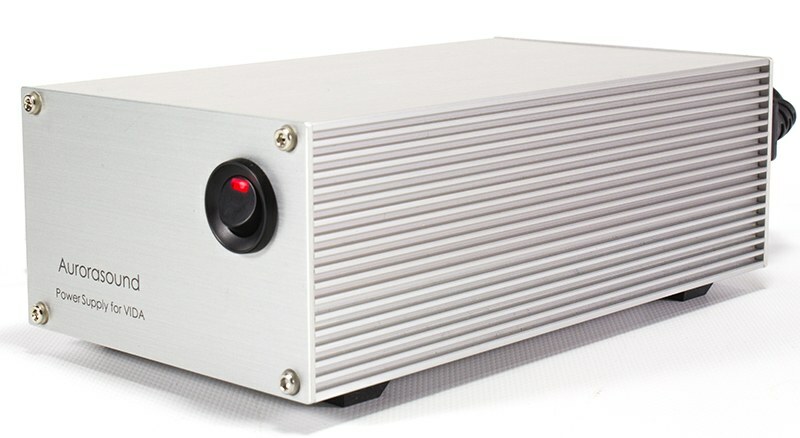 This version is also made up of 2 parts: the preamplifier and the external power supply. This means that the Aurorasound Vida Mono VI-8 phono preamplifier includes two preamplifiers and two power supplies! The two products are perfectly identical and therefore paired. 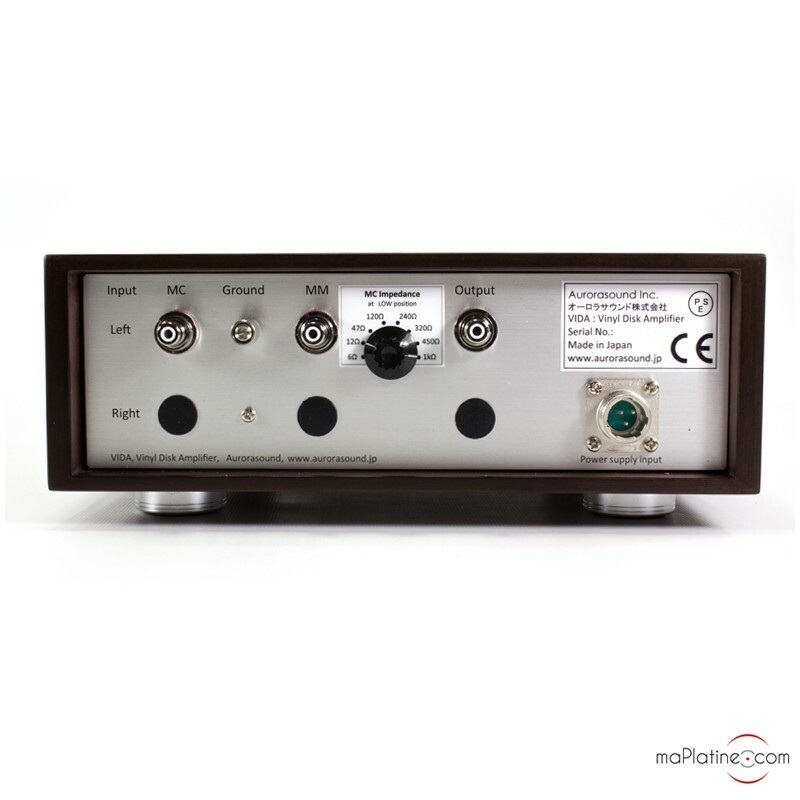 The front panel of each phono preamp has a mute backlit push button, a MM or MC input selector, a high or low impedance selector, a subsonic filter selector, and a Mono/ Stereo selector. There is also a cartridge degauss. 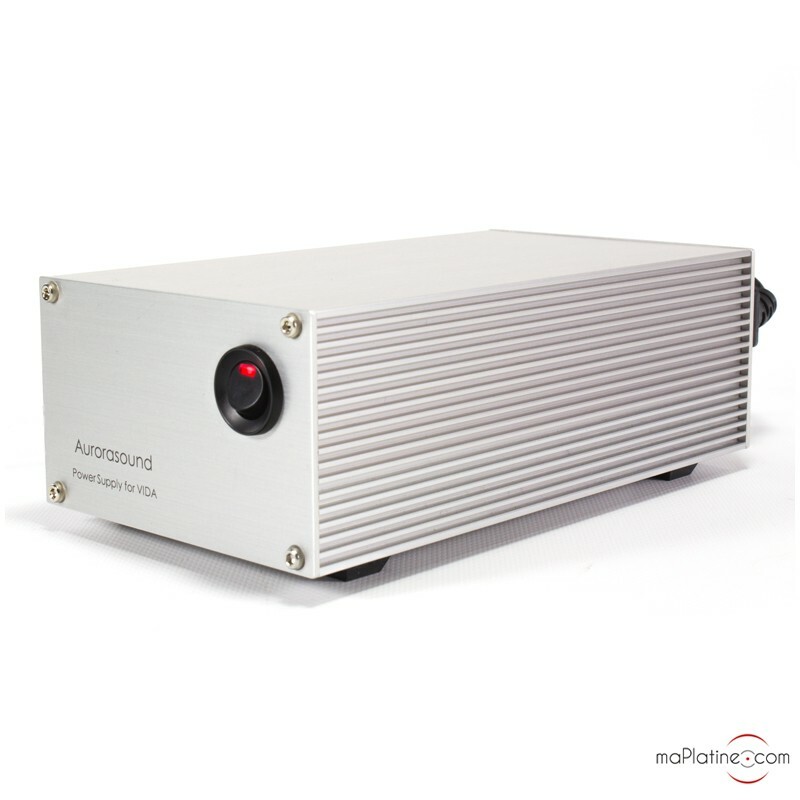 This preamplifier has an aluminium chassis that fits into a magnificent solid wood frame. 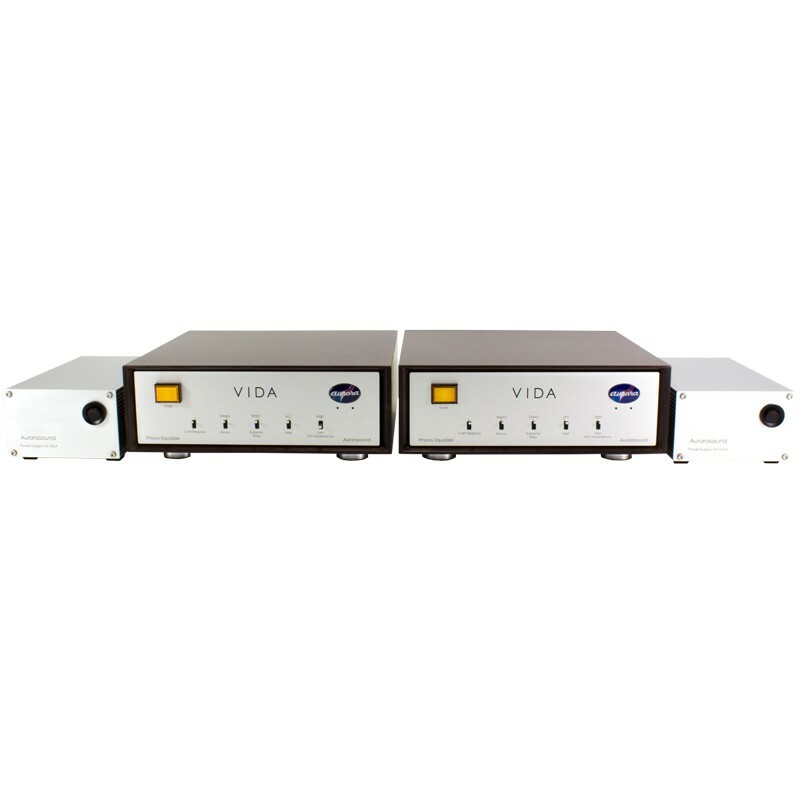 The LCR RIAA equalizer is placed between two active stages with constant input and output impedance. 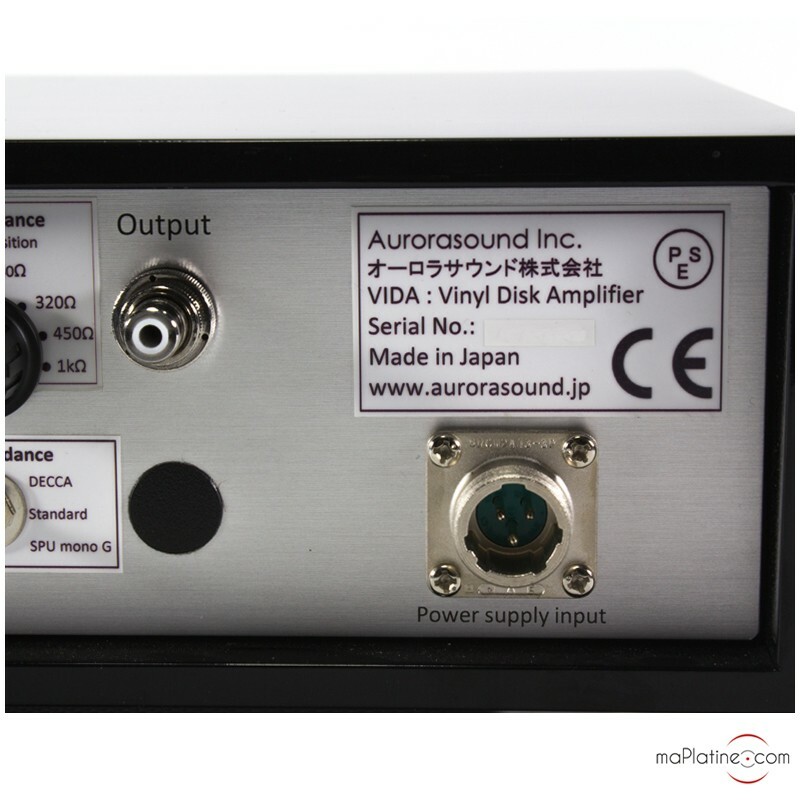 The input stage uses a LT1115 Linear technology chip. 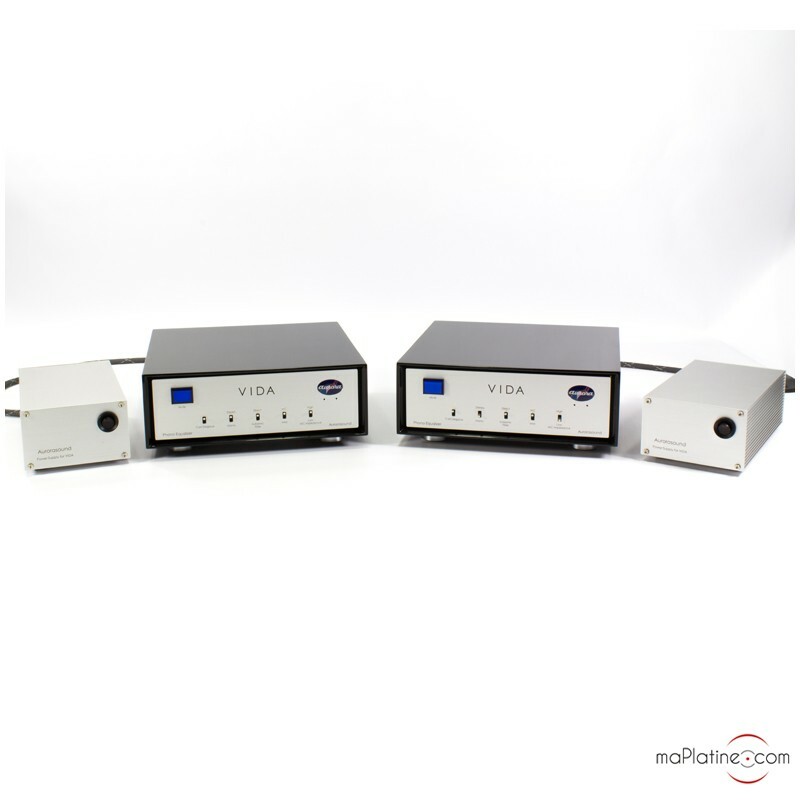 Follows this technology the RIAA equalizer by Lundhall inductance filters. 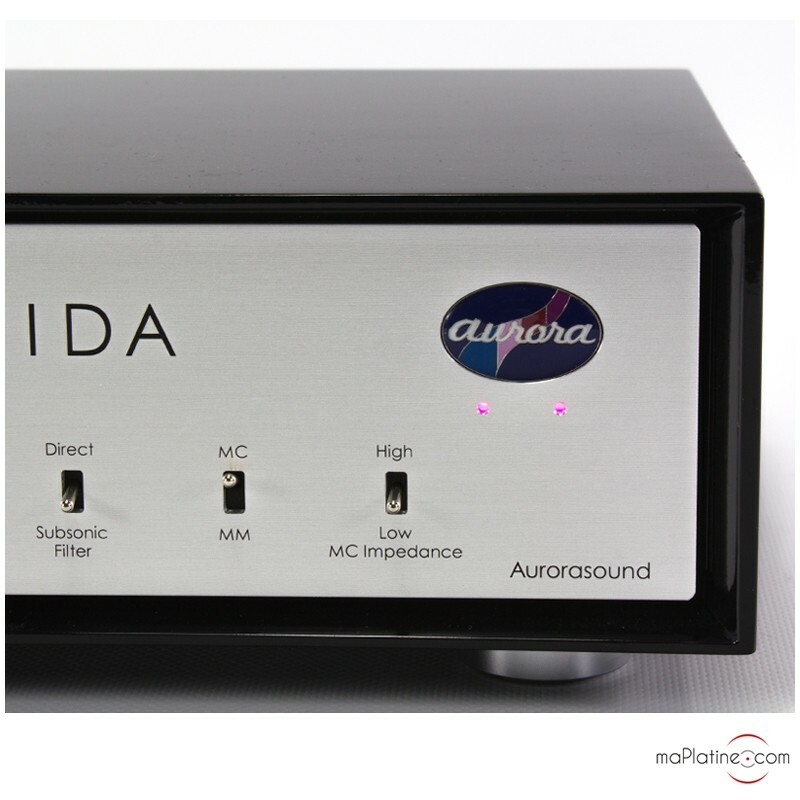 The RIAA equalizer is made under Aurorasound specifications. 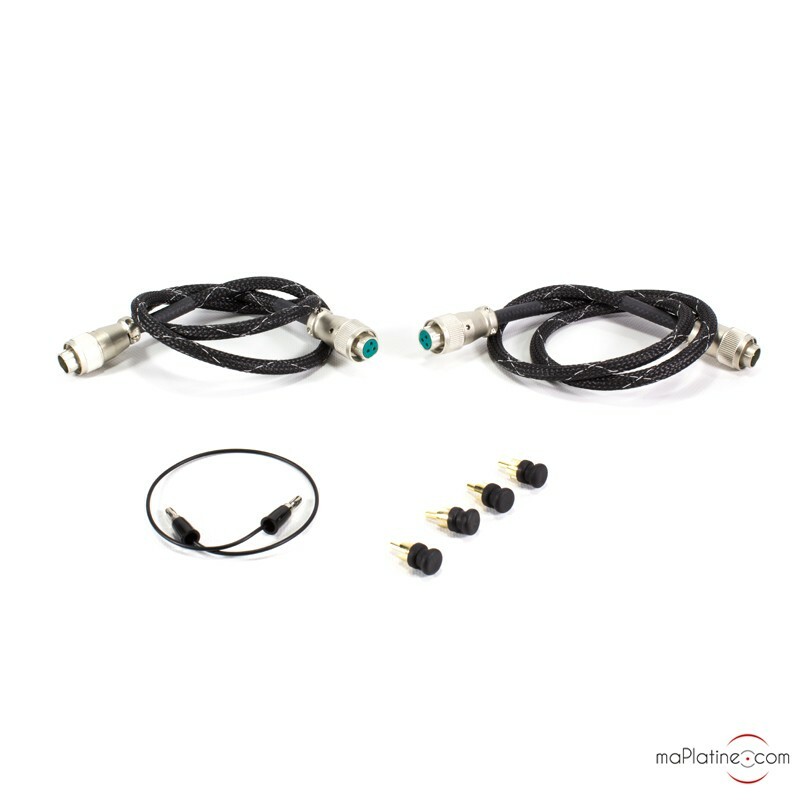 The RIAA equalizer requires an increase of 19.6 dB in the low frequencies and a decrease of 19.6 dB in the high frequencies. All of this with 0dB of reference at 1kHz. 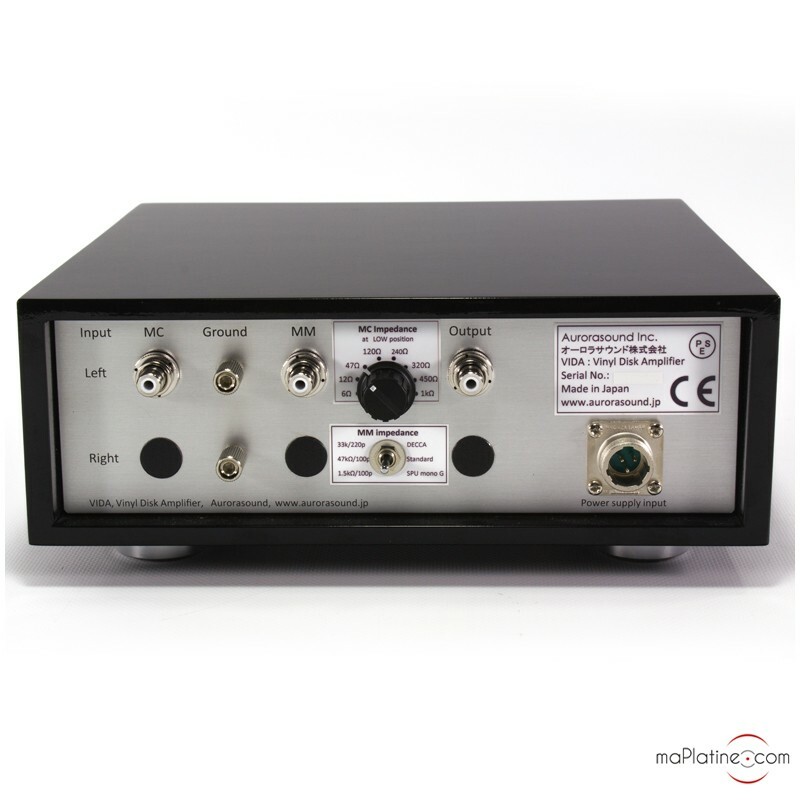 The majority of manufacturers of phono preamplifiers use resistances and condensers in the counter reaction loop of an amplifier with a high gain. The problem with this solution is that there is not a homogeneous and linear response based on the frequency processed. 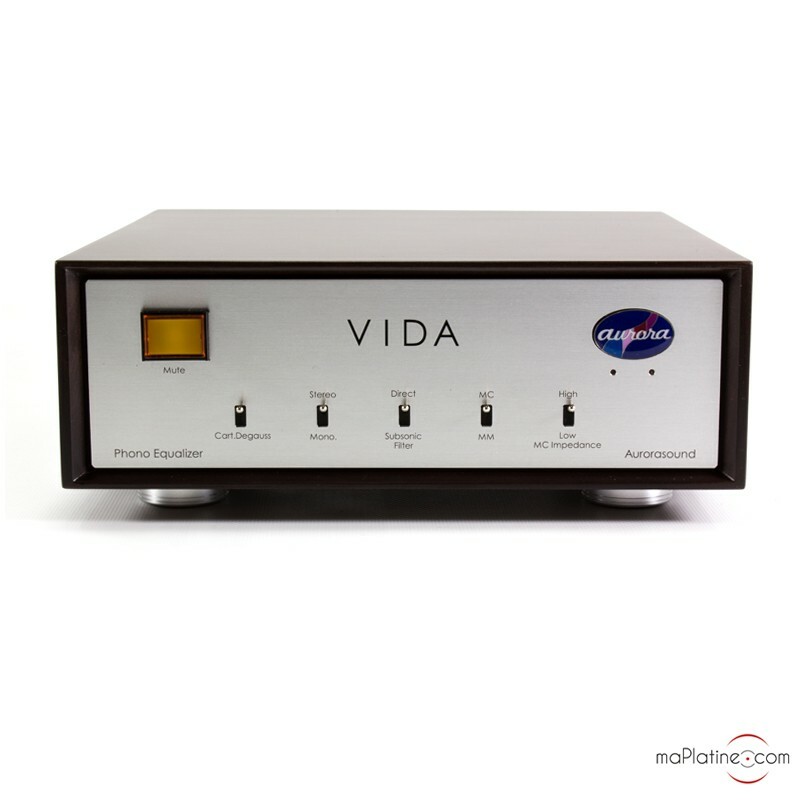 The Vida Mono VI-8 uses a constant impedance LCR-type RIAA circuit. Thus, the circuit has an impedance totally independent from the frequency. Moreover, the absence of resistance and series condensers reduces loss and other colours. 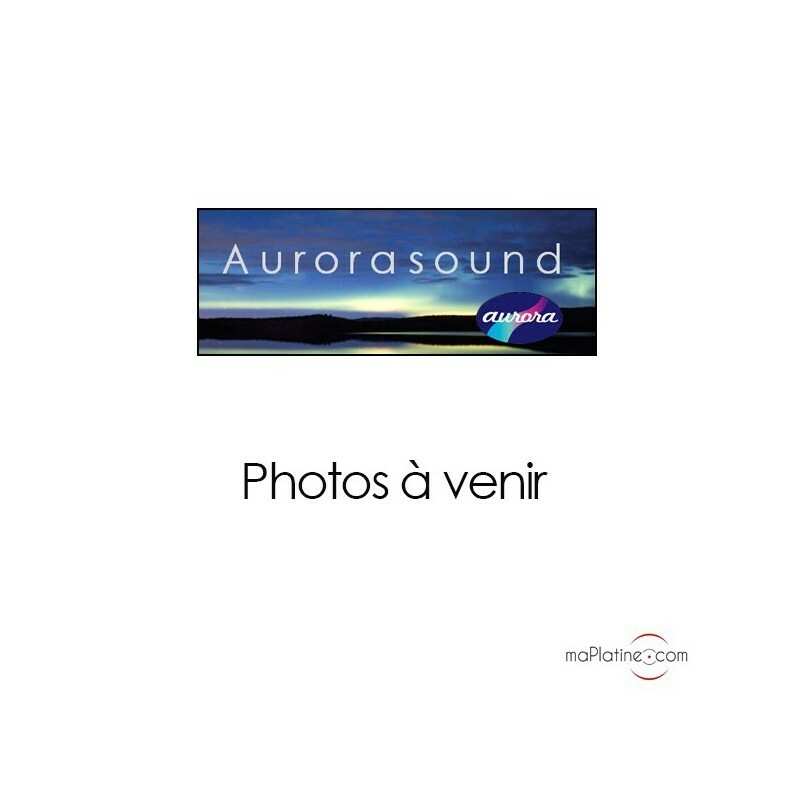 However, the use of inductance is not without danger as it is sensible to electromagnetic radiation. 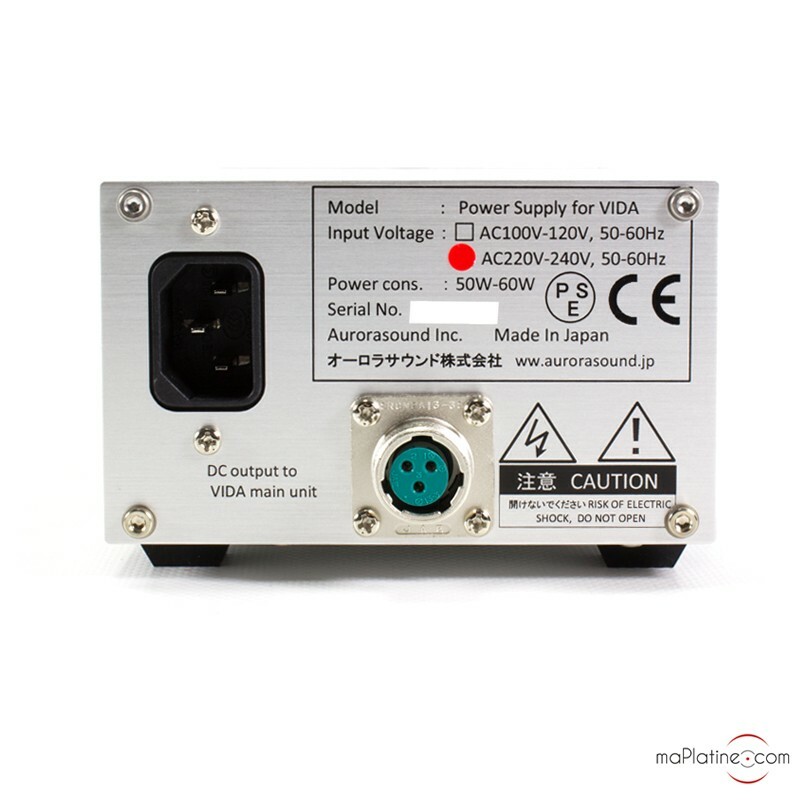 Shinobu Karaki resolved this problem by shielding the inductance with mu-metal and by fully separating the interfering circuits (the power supply) by placing them in a separate casing. 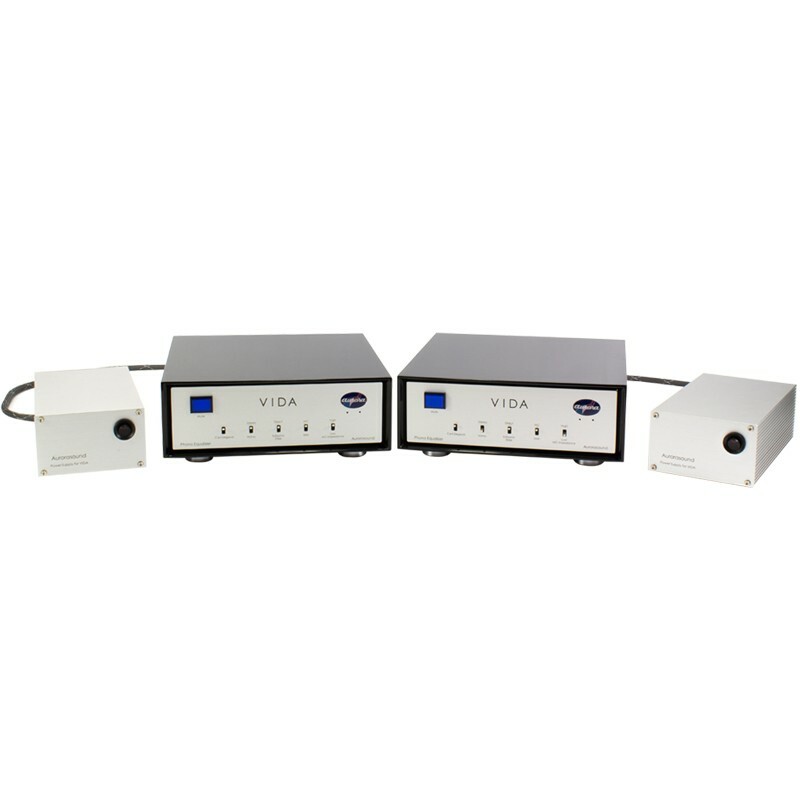 The symmetrical external power supplies house a capsized transformer, low noise Schottky diodes, six Nichicon Muse condensers, and a precision regulation. 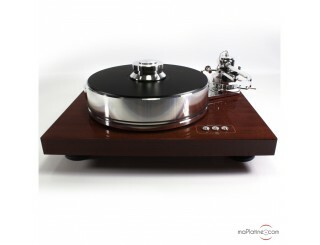 We have been living for months with the Vida VI-6… It is thus with joy that we unbox these Vida Mono VI-8! 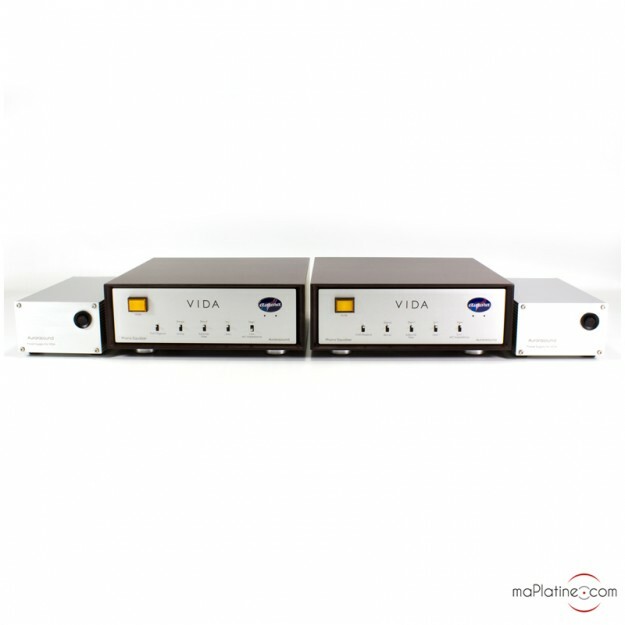 Of course, these VI-8 take up twice as much space and you need a shelf to place the two beautiful power supplies. 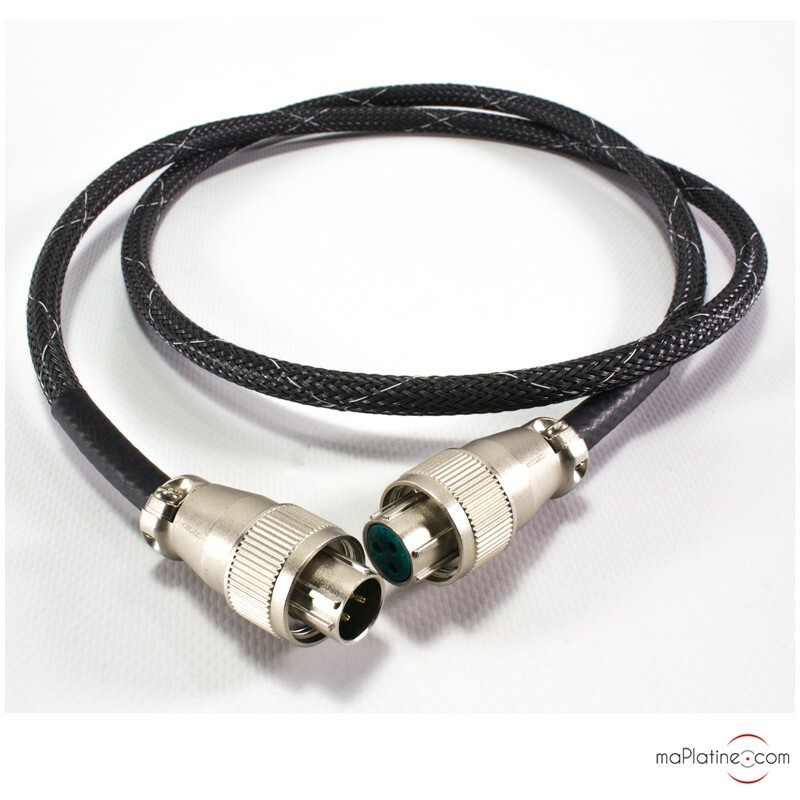 The plug and play is simple. 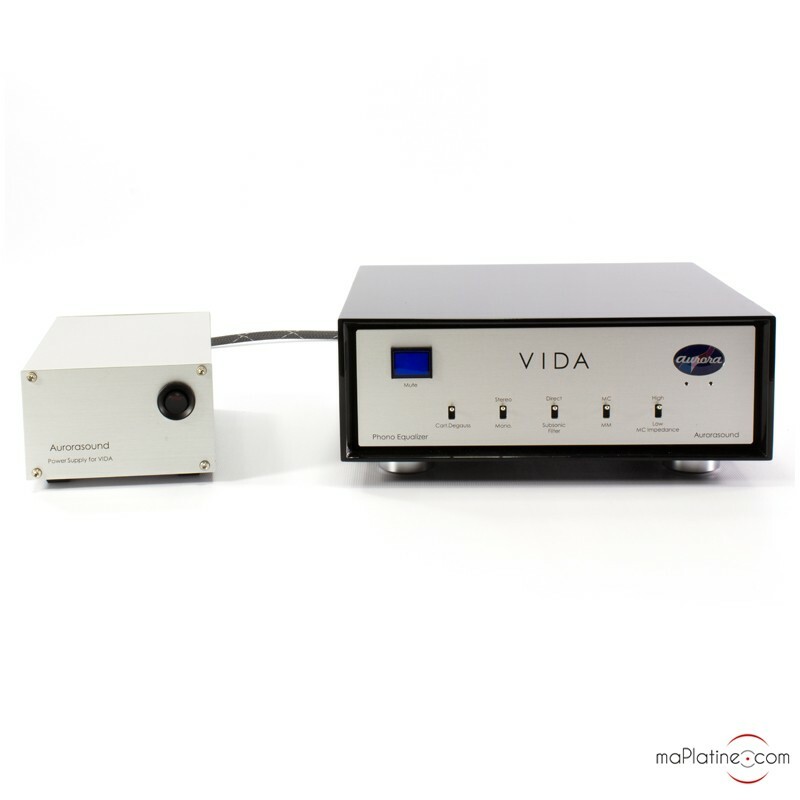 The Vida Mono VI-8 is compatible with almost every phono cartridges, every tonearm, and in consequence, every turntable on the market. 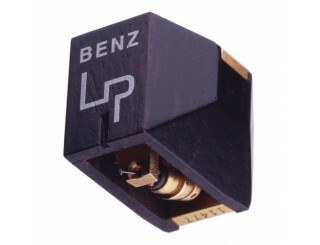 We used this phono preamplifier with two very different cartridges, the Benz Micro LP-S MC cartridge and the Ortofon Anna Heritage. 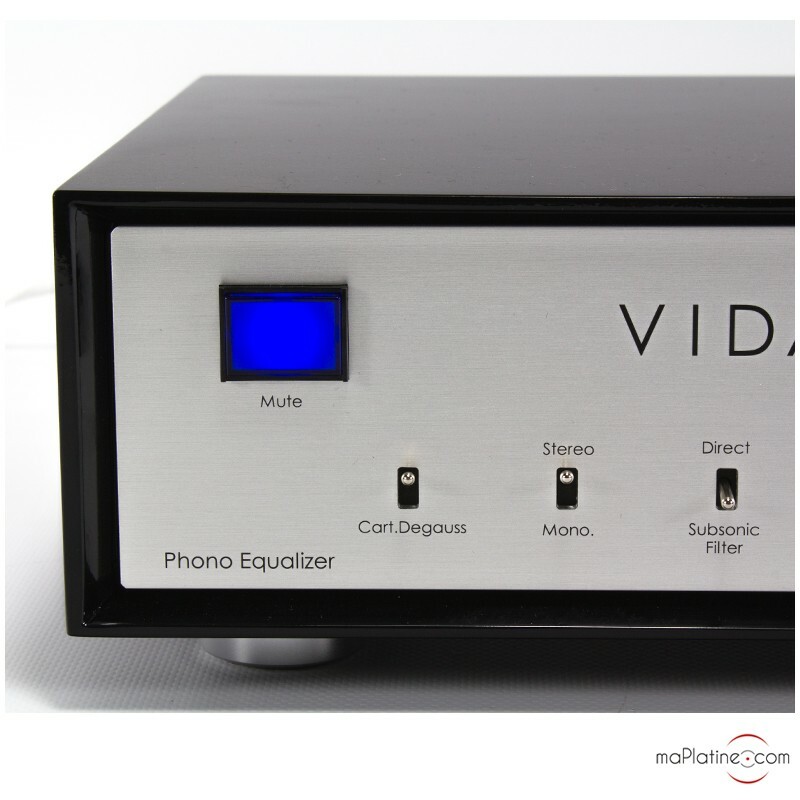 It is the first time that we have had the opportunity of testing a truly double mono phono preamp since the superb Sutherland Duo phono stage. The sound restitution is lively and very communicative. The instruments are perfectly clear and they seem to have more space between each other than on competing products. The sound stage is surprising by its openness and precision. 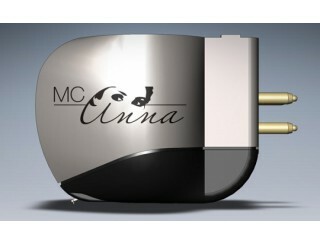 At certain moments, there is the best of tube electronics with the precision and neutrality of the best transistor products. The feminine and masculine voices are reproduced with an uncommon presence and beauty. The quality of the timbre is present with a remarkable harmonic richness! 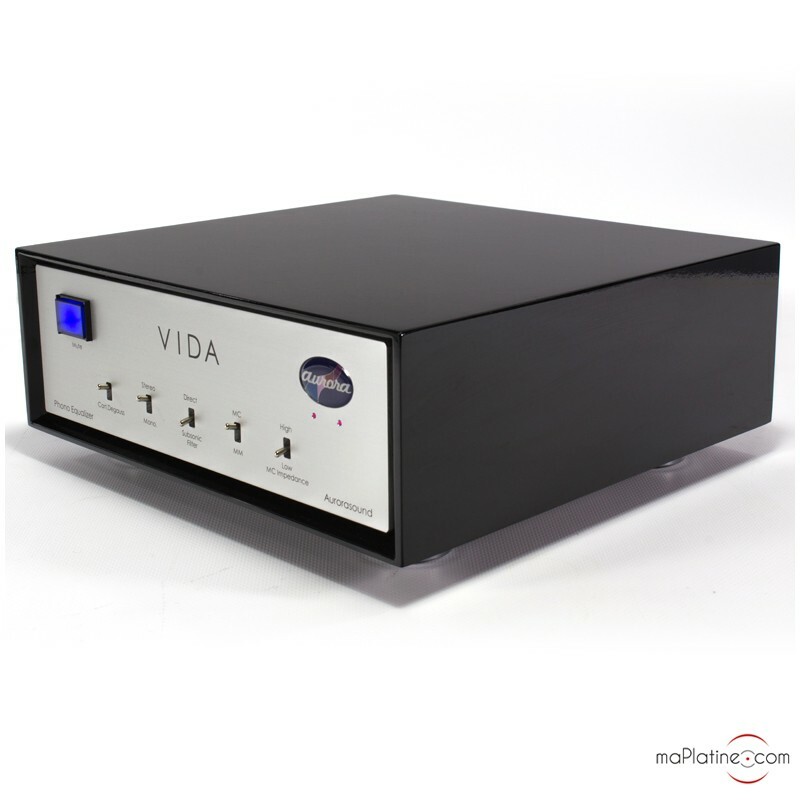 After having listened several times to this Vida Mono VI-8 phono preamplifier, it is difficult to once again listen to the Vida VI-6. 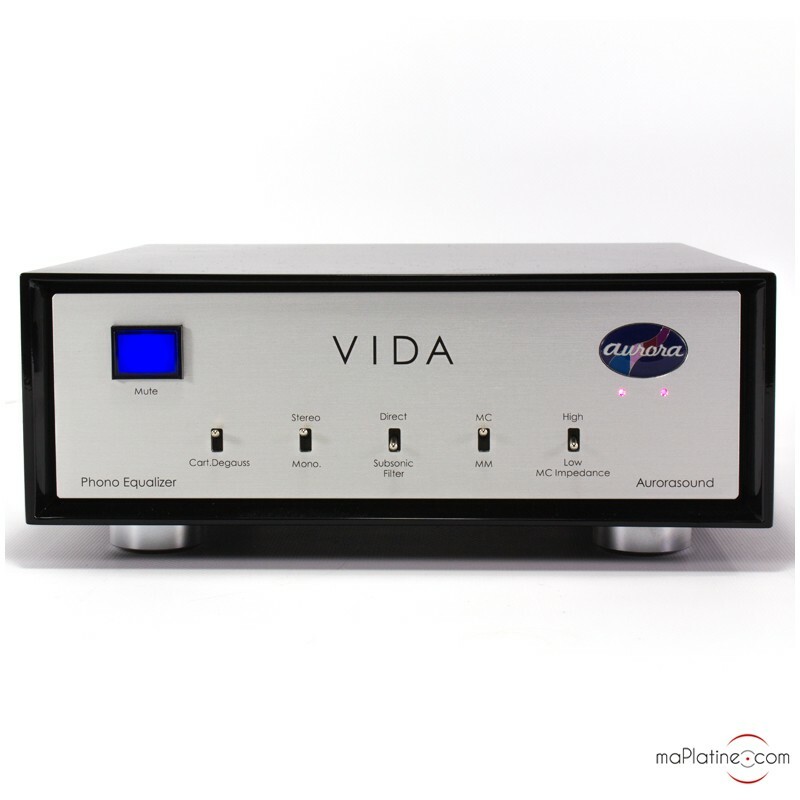 We even surprise ourselves by thinking that due to the price difference, the Vida Mono is the deal of the moment! 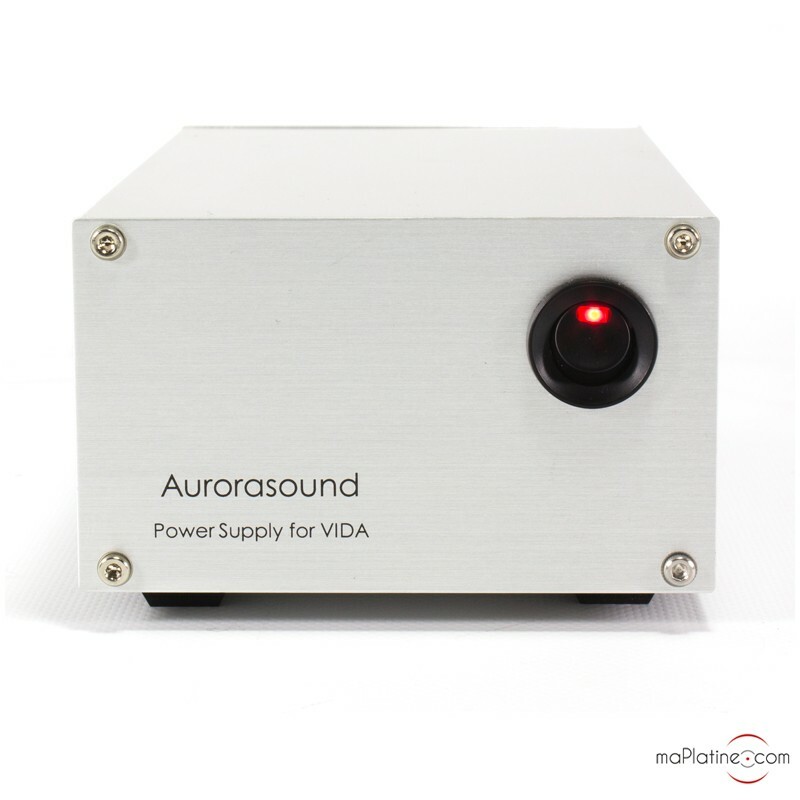 And for the most demanding, there is the Aurorasound Vida Supreme phono preamplifier! Highly recommended without any moderation!